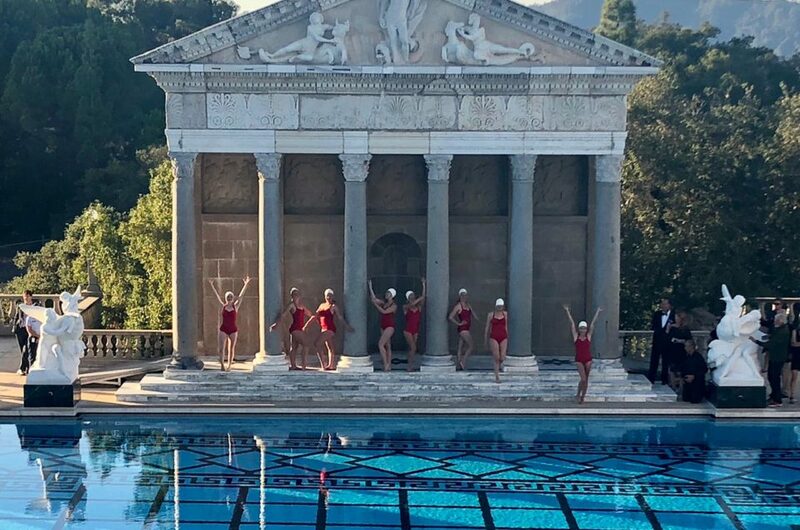 As far as swimming pools go, they don’t come much more iconic that the beautiful Neptune pool at Hearst Castle. 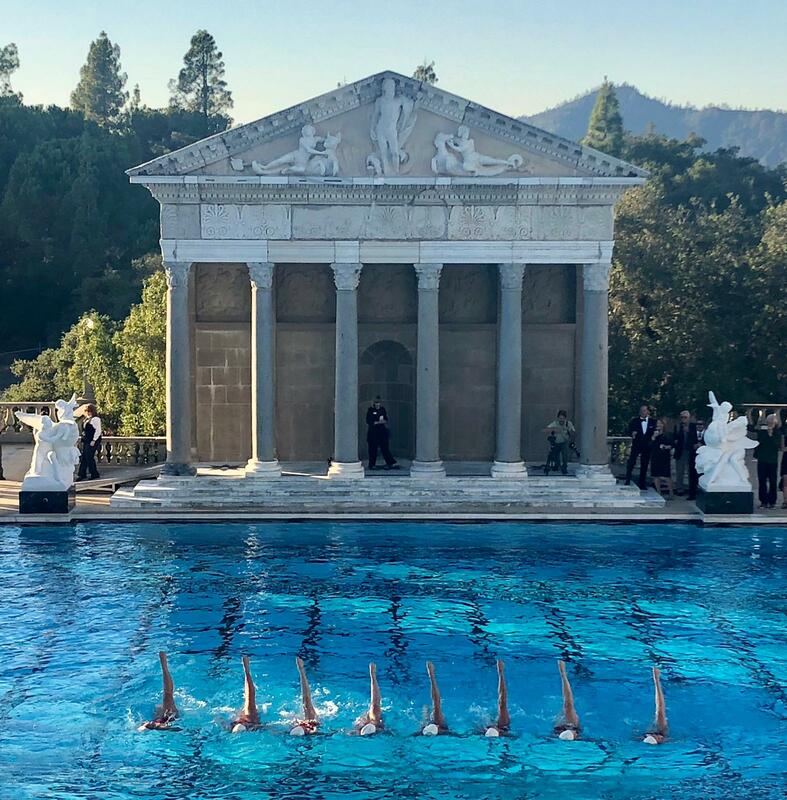 Aquabatix USA was honoured to be invited to perform at the relaunch event celebrating this stunning pool at the biggest state park in California after a four year renovation project to return the pool to its former glory. 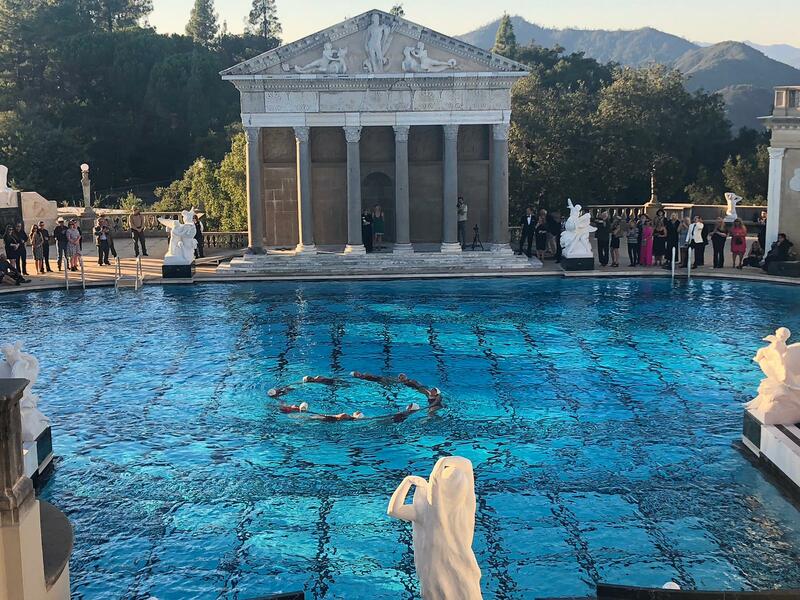 Friends of Hearst Castle, who look after the artifacts for the venue, hosted a soiree and swim event to celebrate the pool with guests also taking the opportunity to take a dip. 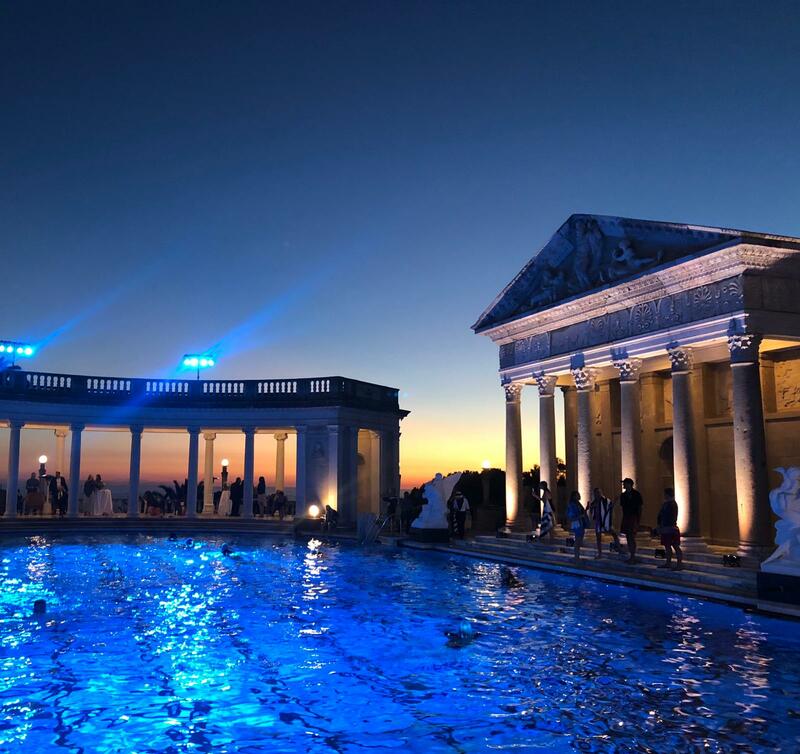 The Neptune pool originally took twelve years to build between 1924-1936 and formed the setting to many of William Randolph Hearst’s pool parties with famous Hollywood stars. 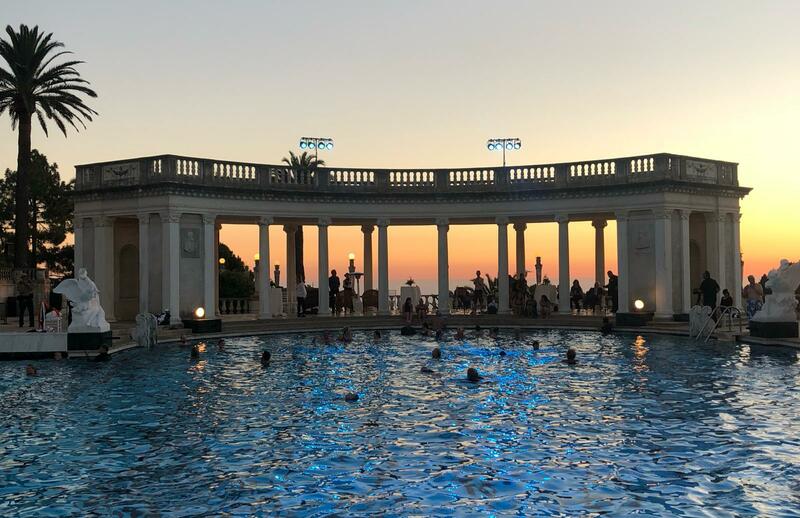 The pool is surrounded with marble statues and pillars and looks over the Pacific with stunning views and incredible sunsets. 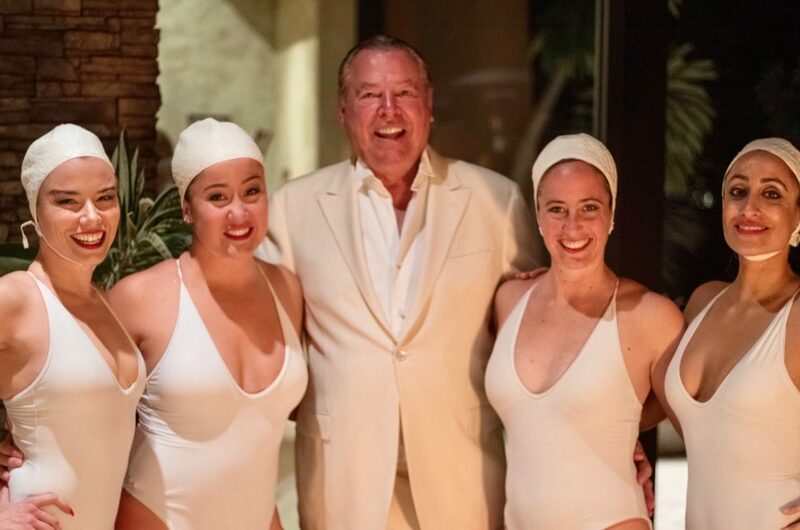 Some of the guests at the swim and soiree party, dressed up in 1930s costumes. Aquabatix USA provided the main entertainment with a Great Gatsby themed routine which fitted the era perfectly. 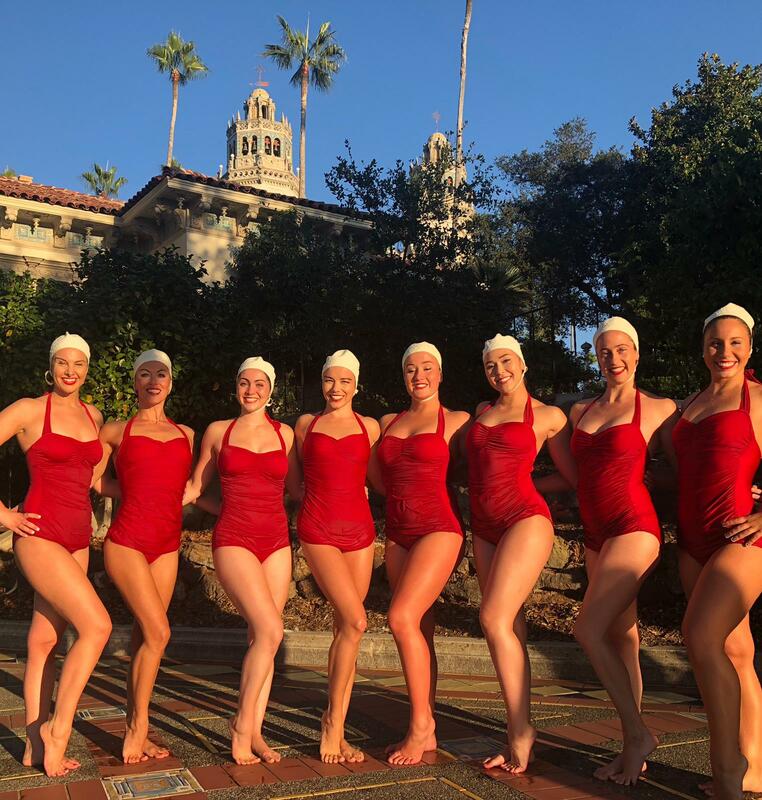 The girls, in their red swimsuits and classic white caps, took to the stage, with the audience surrounding the pool to capture their performance and cheer them on. Afterwards all the party goers were keen to grab photos with the girls in the beautiful grounds and then Aquabatix USA joined in the sunset swim with those lucky enough to have tickets to jump into the pool.